This mini-guide covers the 9 keys of good sleep. It's a handy checklist of must-do's for a successful approach to help your little one sleep well. It's a free download when you subscribe to receive our newsletter (which is also free and sends you regular news and exclusive content by e-mail). 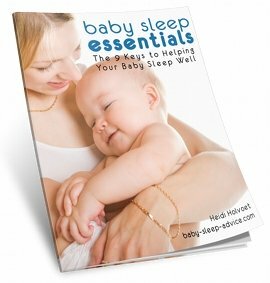 Just click download below: it will take you to the subscription page, after which you can download Baby Sleep Essentials right away. Simple and efficient: this printable reward chart covers 1 full month at a time. That gives you and your toddler a good overview. Each day has ample space to fit in a nice sticker or cute drawing. 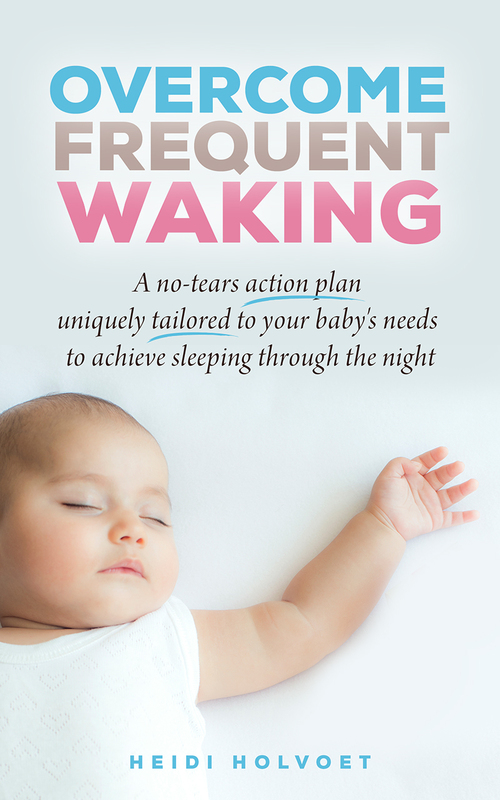 With the 3-step program in this practical guide, helping your baby self soothe to sleep becomes quite doable. Without the need for crying it out, the progressive techniques improve your baby or toddler's settling skills at bedtime ... and help reduce unnecessary night awakenings. Heidi's most complete sleep solution gives you all the gentle and effective tools you need to overcome frequent night waking, always without tears and whichever your current sleep associations (breast, bottle, rocking, swing, swaddle, car seat, etc.) or challenges (self-soothing, naps, routines, etc.). This packages comes with the full e-book as well as the interactive action plan (makes change doable and consistent) and exclusive access to Heidi's private support group. Baby settles and sleeps best when put down at the right times - right meaning seamlessly fitting for your baby - at this age and maturity level - and aligned with her personality and your family situation. Keeping a journal helps but jotting down sleep and wake times is not enough. 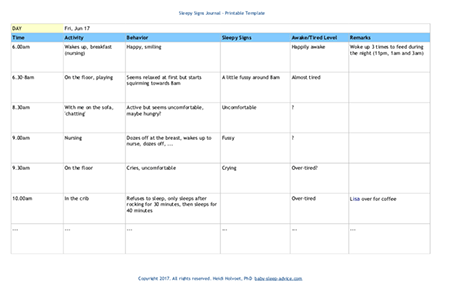 To really understand baby's needs, you need to link her sleep and wake times to her behavior: the sleepy signs. The Sleepy Signs Journal template helps you do exactly that. How? 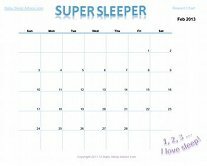 Download below, print and start writing down: sleep and wake times along with how she behaved and how awake or tired she was. Learn to connect these findings and you will reveal your little one's ideal nap and night time bedtimes. Simple sound samples in mp3 format for you to use in your own home-made white noise maker. More info on how to use white noise to help your baby sleep here.